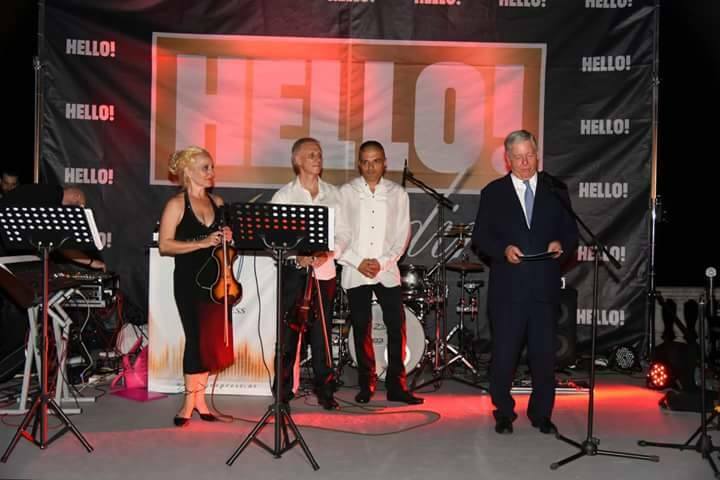 Last night a celebration took place at the Royal White Palace on the occasion of the 10th anniversary of Hello! in Serbia, attended by over 700 guests from the world of art, sports, diplomacy, business and a large number of celebrities. While the officials were posing for photographers and giving statements to the media in spectacular restrooms on the red carpet, the audience enjoyed the music of the electric string quartet “Dinamika Music”. And in global terms everything started in 1944 in Spain when Antonio Sánchez and Mercedes Calderón launched the magazine Hola! In Europe, a war was raging, in Spain, Franco’s dictatorship was launched, and in Barcelona a magazine that would become the most widely read magazine on the planet for decades was launched. In 1988, it was launched as the British ‘Hello!’, Later on the other editions were launched, and today there are over 20 of them all over the world and we are proud to be part of that family. Mercedes Calderón is 96 years old now and every Monday she is reviewing the fashion pages of the Spanish magazine ‘Hola!’.